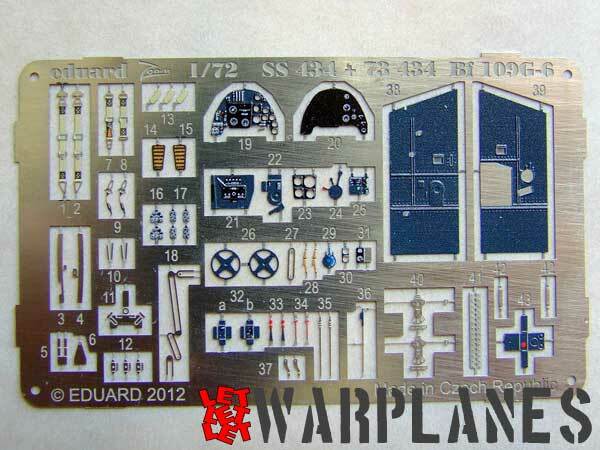 The Messerschmitt Bf 109 is again the focus and Eduard has just delivered two etched sets for the Italeri 1/72 Bf 109 G-6. The set numbers are SS 4343 and 73 434. I could call it the fast way and the hard way. 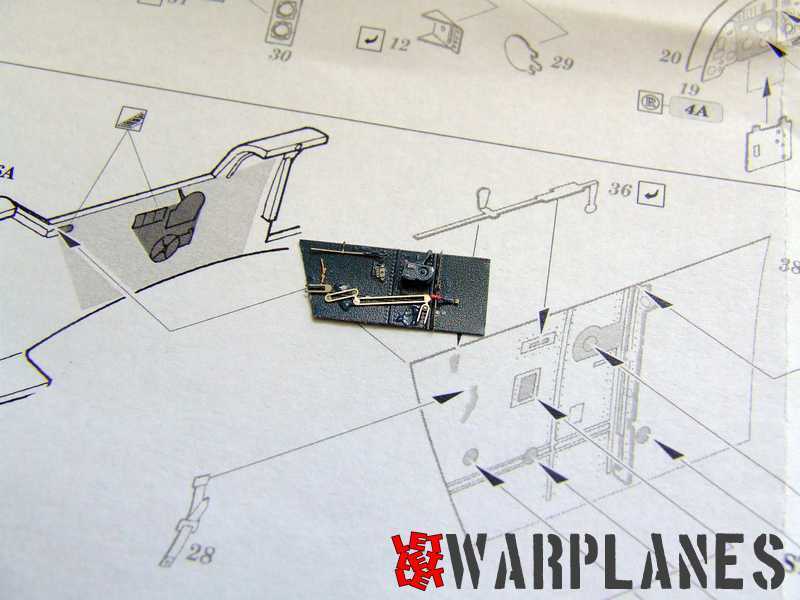 The easy set includes one sheet of etched metal with painted elements and includes an almost complete solution for the cockpit, only the seat is missing. 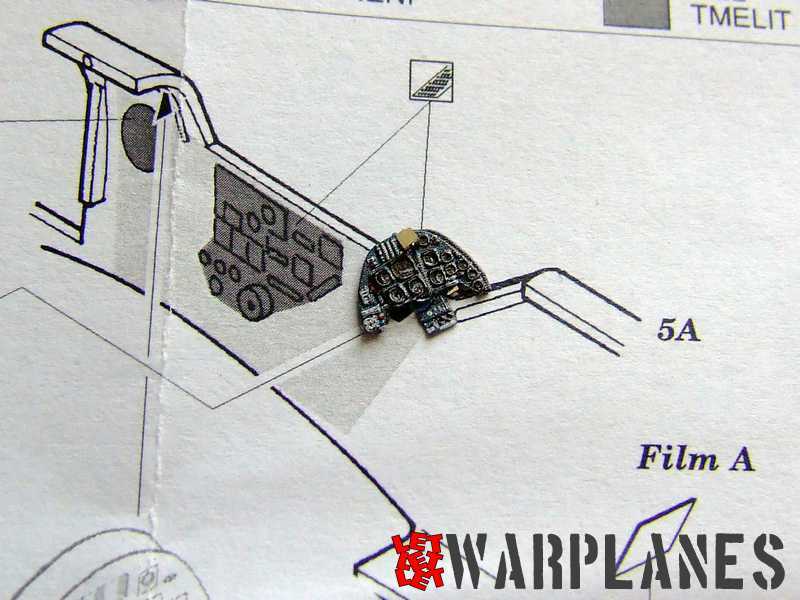 This configuration gives the possibility to incorporate this set into any kit in this scale. 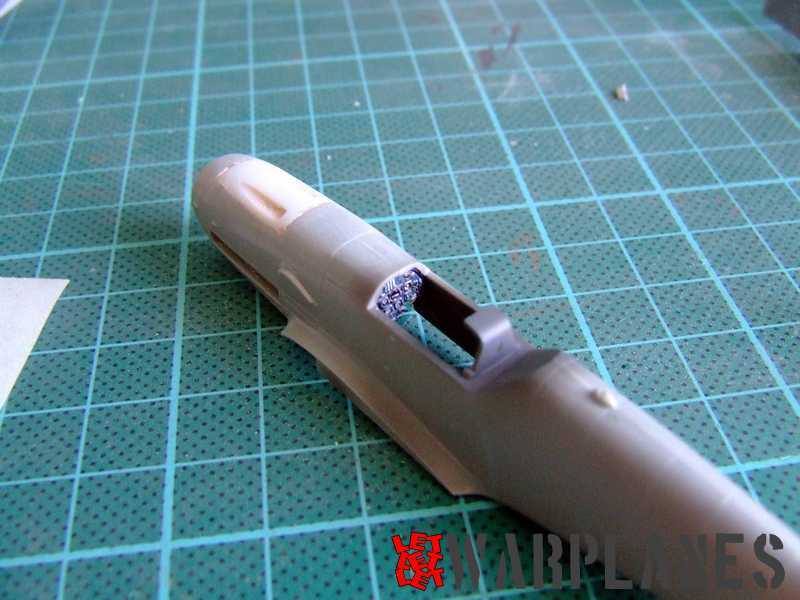 I decided to use the Hasegawa kit for this review. 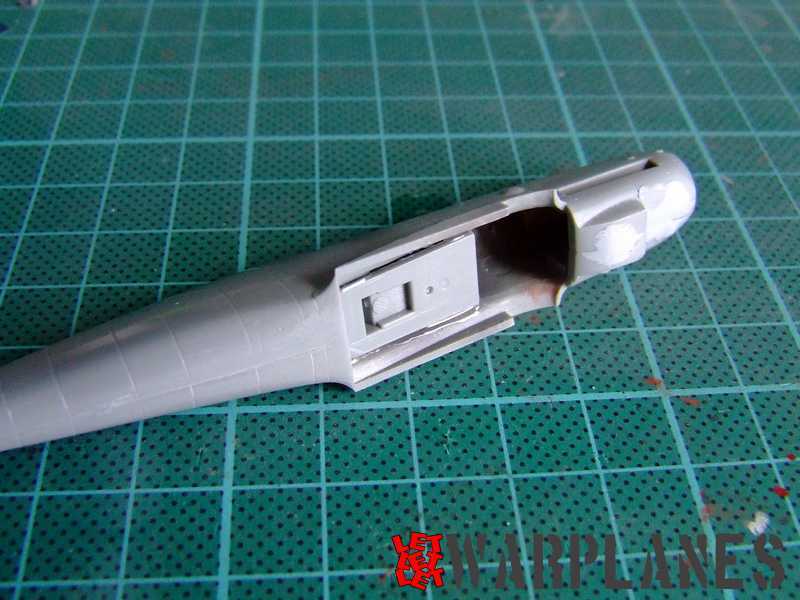 There is not much difference in the basic preparation of the plastic kit parts. 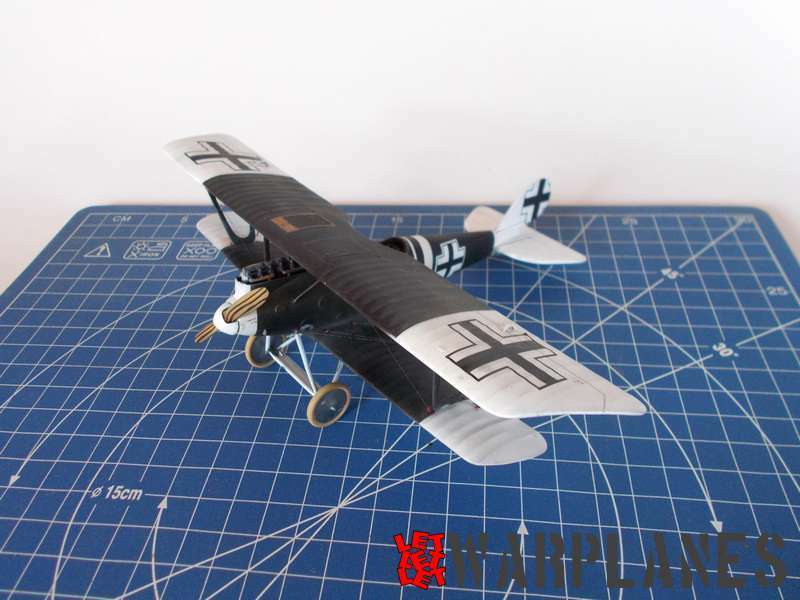 In the Italeri kit you will need to remove the molded-in detail on the cockpit sidewalls. 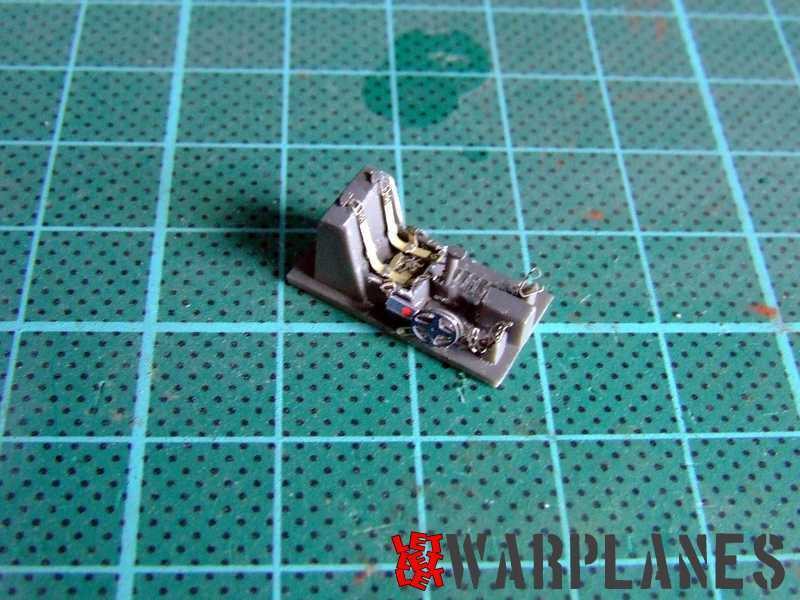 On the Hasegawa kit you must remove the front bearing support for the cockpit floor and sand the sidewalls down a bit. 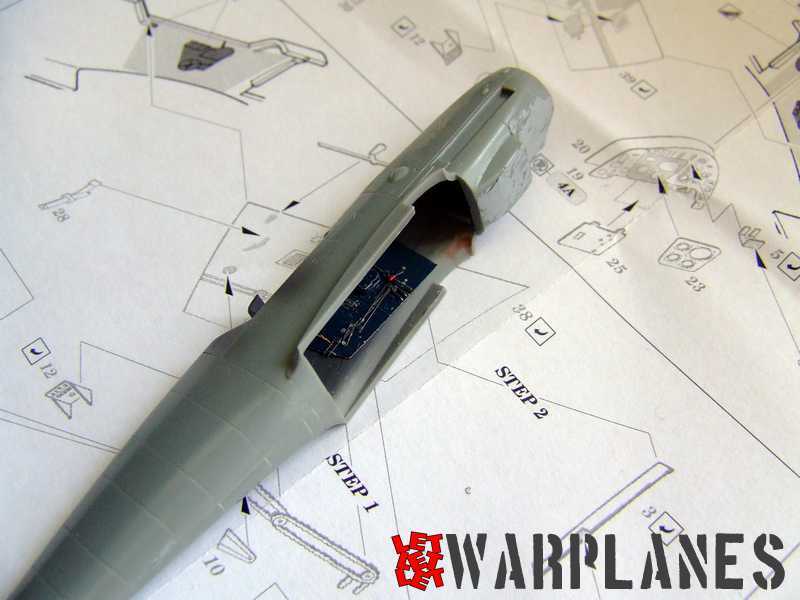 The construction of the Eduard parts goes fast and easy, and in just a few hours you can fully equip the cockpit with all elements from this set. 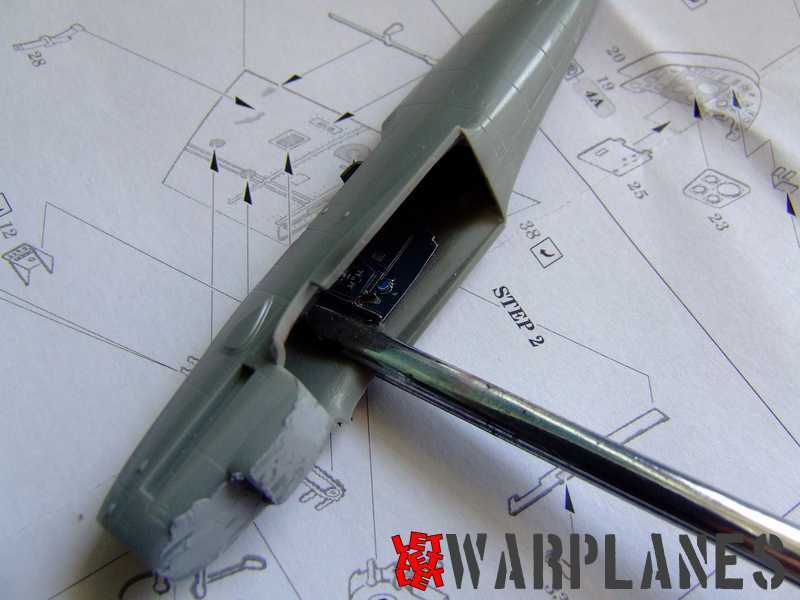 Some parts need to be painted, including the rudder control pedals, trim control chains on the sidewall, and the gunsight mount. 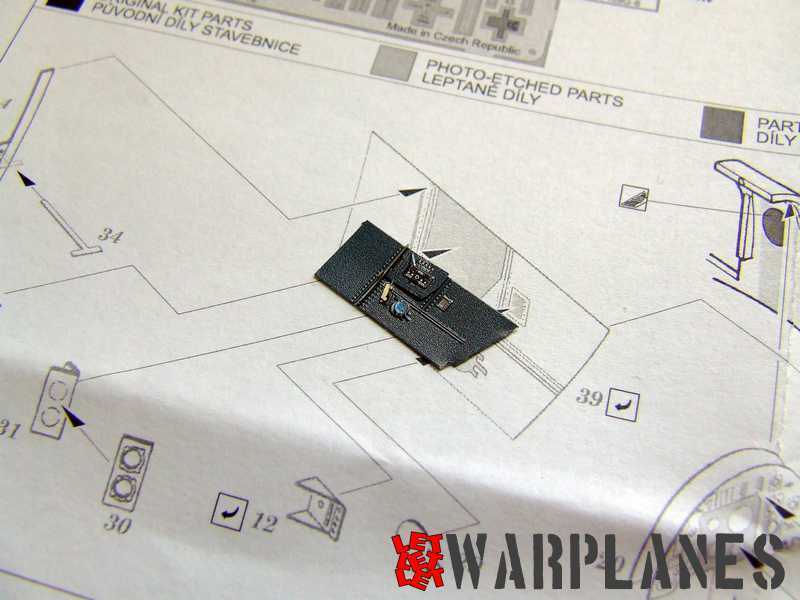 Your option as to when to paint these–some can be done before installation and some can be painted after installing. 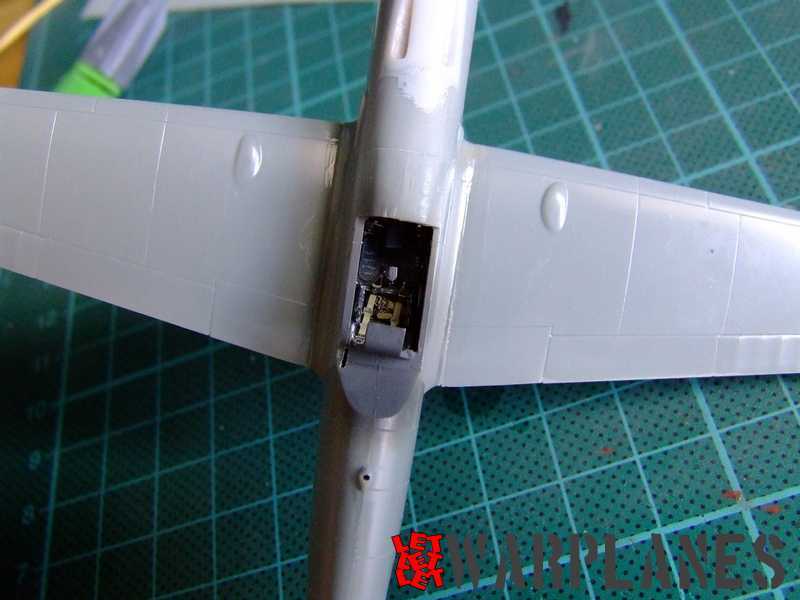 The foot pedals should be painted RLM 66 and then the straps installed. These can then be painted leather color. The whole interior is in RLM 66 and the shade is more or less a good match. 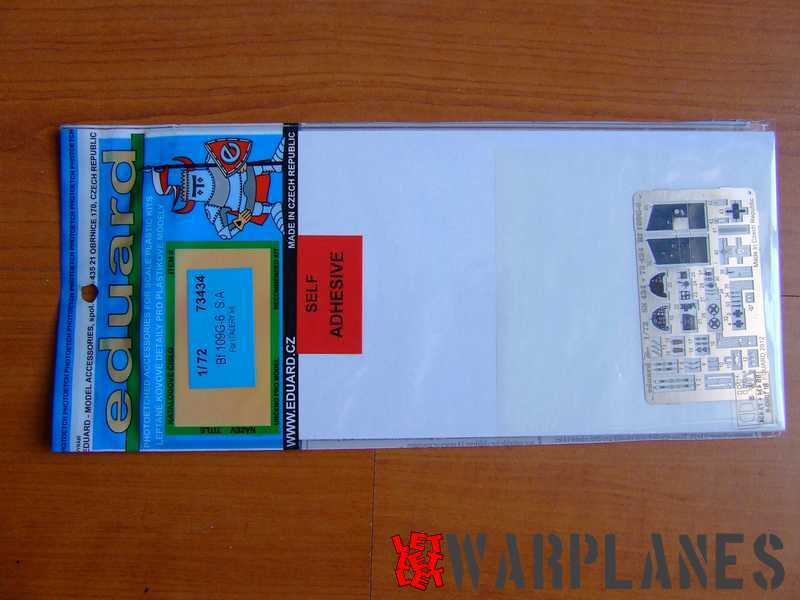 The big set includes the basic set described above but also another sheet of metal parts for the external details of the kit. 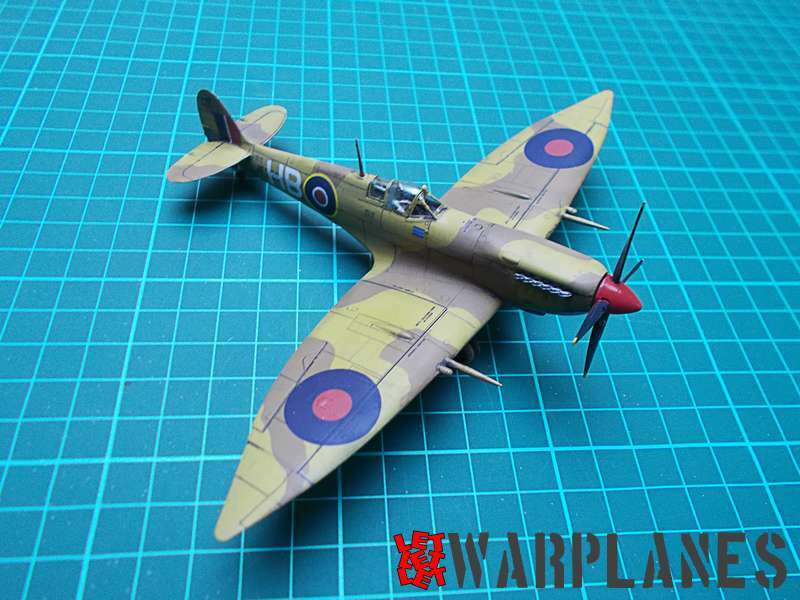 With this set you can build the kit with outstanding detail. This set requires more time, and, of course, experience! 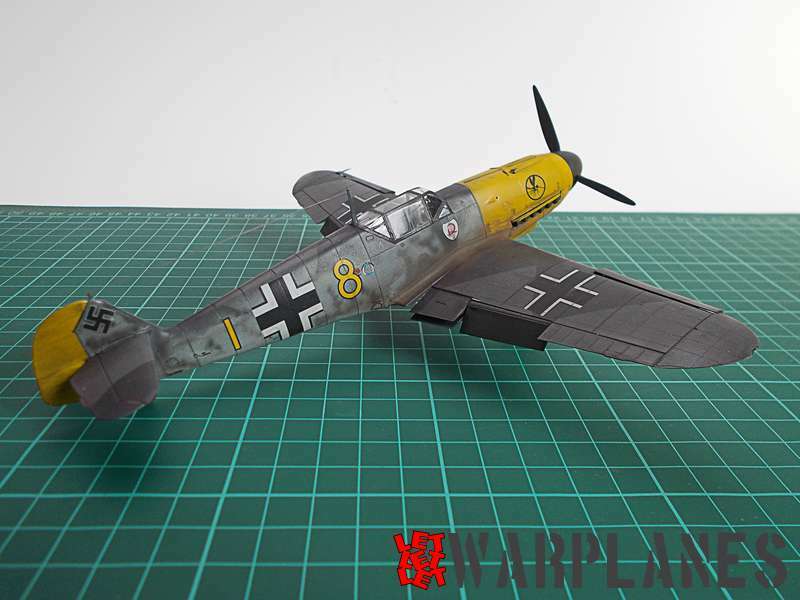 You can find this versatile products here and here but also can see our Bf 109 Group Build!